The 18th Annual U.S. Sand Nationals featuring PTN Race #3 ended up being one of the biggest races of the year with over 200 entries from all across the Midwest showing up for action at West Michigan Sand Dragway. 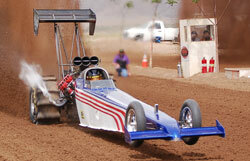 Lone Star Graphics, the official photographers of the PTN series, were on hand & caught some amazing action. Here is a look at some of the weekend’s winners and story lines. The last two months have been quite a ride for NSDN. You know when “The Editor” misses his column for a month that it’s been hectic. I started out in mid May in Lake Elsinore, CA. The NSDA series once again put on a great show in Southern California. From there, it was a seven hour drive to Cleves, Ohio for the Pro Truck Nationals season opener. 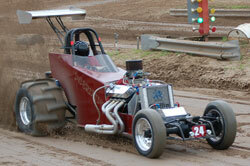 This series has definitely established itself as one of the most exciting shows in sand drag racing today. Finishing up the three week in a row race coverage extravaganza was the yearly trip to Atoka, OK for the Heartland Nationals. The AMP crew once again put on a superb event. The common denominator in all three events was that the racers put on a great show. I know, at this point, it probably sounds cliché and I honestly have a hard time coming up with new words to describe it, but the on track competition continues to be amazing. The trend seems to be that the competition level continues to rise each season. The AZ Top Fuel Group in conjunction with Swag Racing has announced a joint partnership to put on the 2nd annual Arizona vs. California Top Fuel Shootout at Dome Valley Raceway in Wellton, AZ on January 22 and 23, 2011. 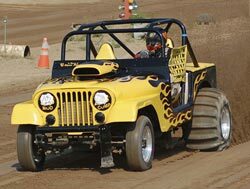 This event will see some of the very best sand drag racers in the Southwest U.S. face off on one of the premier race tracks in the country. Thunder Valley Sand Drags in Grain Valley, MO has been plagued with inclement weather throughout the 2010 race season, but finally stayed dry enough to race on July 10th. Dan Yardley was the big winner in the Pro Comp class while our TVSD reporter, Kody Teters finished 2nd. Keep in mind TVSD’s Sho-Me Fall Nationals is coming up on September 9-11 with added money in Top Alcohol and Top Eliminator. Click “Read More” to see the full results. The point series race for July 10th at Atoka Motorsports Park in Atoka, OK has been canceled due to excessive rain in the area & the threat of rain through the rest of the week. AMP's next event will be the point series race on August 14th. 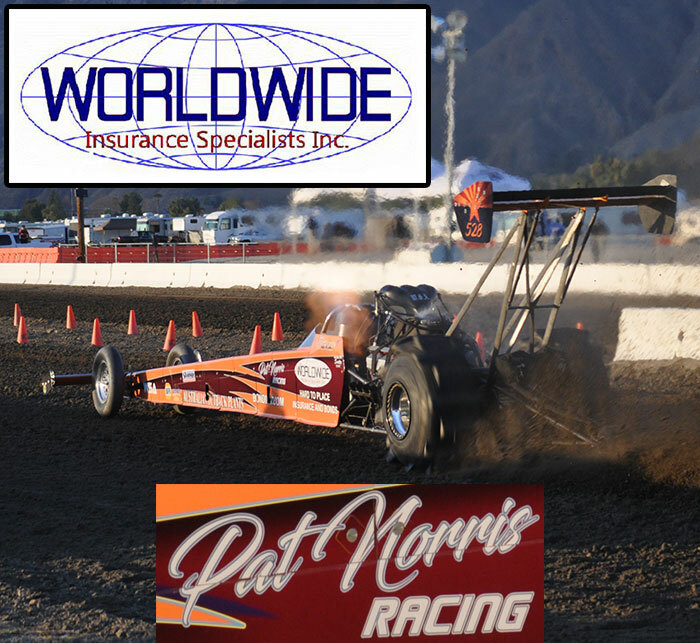 The 2010 Pro Truck Nationals (PTN) series continued on to race 2 in Cleves, OH in late June. Following up a great Season Opener in Cleves, this race had all the makings for an awesome event. Blistering temperatures greeted racers, but it surely didn’t put a damper on the action. Here is a look at the action. 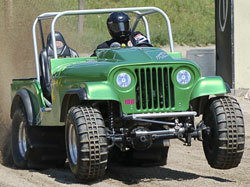 West Michigan Sand Dragway in Mears, MI held their Quick 16 Shootout over the 4th of July Weekend. A great turnout of racers was greeted with excellent weather & track conditions throughout the whole event. Here is a recap of the event through photos from Jesse & Tammie Easterling of PDQ Photos. West Michigan Sand Dragway rounded out their 4th of July Shootout weekend on Saturday night with some excellent racing action. The featured Quick 16 class saw close, fast racing throughout the day with Dale Flaugher coming out the big winner, taking the final round win over Mike Page. Kip Martin had a great night with his Primal Scream Jeep, winning the Pro Truck class over Lee Reynders & taking the runner-up spot in Pro 1 to winner Bob Ramlow. Other winners on the night included Brian McWethy (Pro ATV), Dave Weaver (Sportsman 1), Tom Bray (Sportsman 2), Corey Hamlin (ATV), Makayla Beld (Junior Dragster), Jessie Berzley (Junior ATV), and Bryson Turner (Mighty Midgets).